Do you have a problem with your garage door? Does it act like it has a life of its own? Are you annoyed by the noise that it makes? Does it have unsightly stains and scratches? Is the garage door opener unresponsive? If you are experiencing any of the above problems with your garage door, call A1 Garage Door Service for fast and efficient service. We guarantee that we have the best garage door repairmen in town. We will have your garage door and garage door opener working like new again. A1 Garage Door Service is a family-owned company. Being a family owned business, you can expect our unwavering commitment to preserving our company’s integrity and reputation. We have made a commitment to provide homeowners here in Humboldt, also known as Arizona’s Country Town, and its nearby areas with the best garage door service and we have been giving our best to honor that obligation to our community. Through the years, we have developed personal relationships with homeowners here in Humboldt. 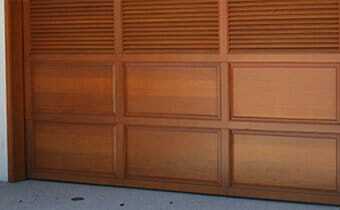 They have entrusted A1 Garage Door Service to take care of all their garage door needs. That is why we know right away what to do with their garage door whenever they call us for assistance. A1 Garage Door Service values these relationships and the trust that they have given us. We promise to continuously provide all homeowners here in Humboldt with our excellent brand of service. To be sure that we provide our customers with an unparalleled level of customer service, we had our company checked by the Better Business Bureau. After their strict monitoring and evaluation, they have given A1 Garage Door Service the highest rating possible! A1 is for A+! This rating ensures all our customers that we are a company that you can trust. We are serious about providing you with the best garage door service here in Humboldt. A1 Garage Door Service has received five-star ratings in both Yelp and Home Advisors, trusted websites that seek to help people find the best companies to transact with. The ratings were given by the customers themselves who have experienced our A1 brand of service. A1 Garage Door Service has consistently gotten praises from our patrons for the service that they have received. Angie’s List, which is another platform for customers to give reviews and recommendations about the best local service providers in their area, has given A1 Garage Door Service the Super Service Award for delivering excellent service to our customers. We have been a recipient of this prestigious award not only once but three times and for that, we are deeply grateful to our patrons. We are in high spirits because of these positive reviews and they serve as an inspiration for us to continue doing our best in all the jobs that are entrusted to us no matter how big or small.